A very special book launch: Manuale Tipografico IV. A triumph of hand-printing aesthetics, paper and watermarks. 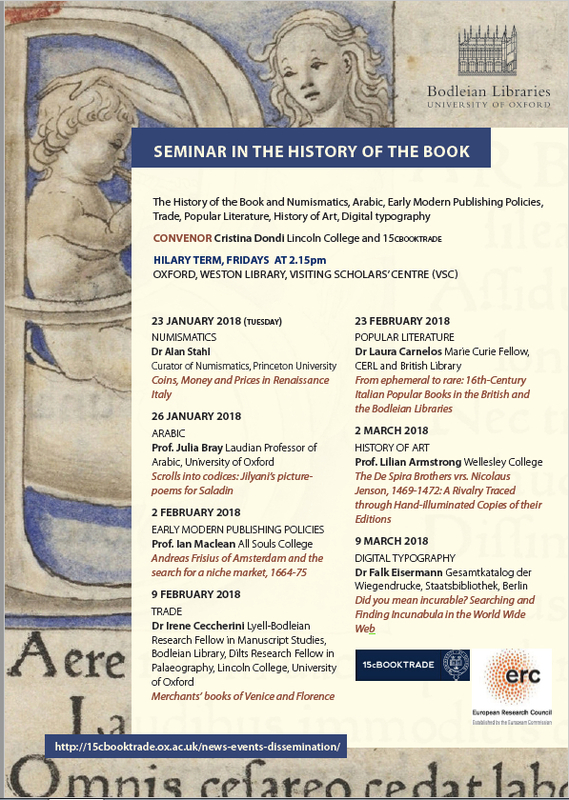 The seminar is funded by the 15cBOOKTRADE Project (ERC), with the support of the Bodleian Libraries Centre for the Study of the Book. Access to the VSC is with a library card. Bags need to be checked in the library’s lockers (ground floor). People without a library card should get in touch in advance with the seminar convenors.